ï»¿ Excess players into pool? Custom Bats Cricket Forum » General Cricket » Cricket Admin, Facilities and Fundraising » Excess players into pool? Our league AGM is upcoming and one proposal is to create a method of excess players being available for other clubs to try and get numbers up and more teams fielding 11. From here I've seen a few comments about leagues where this already happens and just wanted to get an understanding of if it works and potential issues that occur? Re: Excess players into pool? The lower 3rd of the Bristol&District implemented this last season. From what I gather, seems to work quite well.Often see wanted/available posts on the B&D Facebook page. Our league does this. Unfortunately I came a cropper when I loaned myself to a club in a higher division and hit 141*. It caused all sorts of problems and ultimately ended in me leaving my club and joining one in a different league. A. Those who don't get selected for their original club won't want to play for anyone else (often youngsters who perhaps lack the confidence to play with people they don't know). B. Club officials don't like it as they think the clubs may 'steal' their players by offering them a regular place. However, in principle it is a good idea. Worked quite well for our 3s I think, they didn't have a game every week in their league so there was a few examples of our guys going and playing for someone else in free weeks/when games got cancelled and vice versa if we were short. Decent idea for the more social leagues, can see it causing all sorts of trouble if applied higher up though. 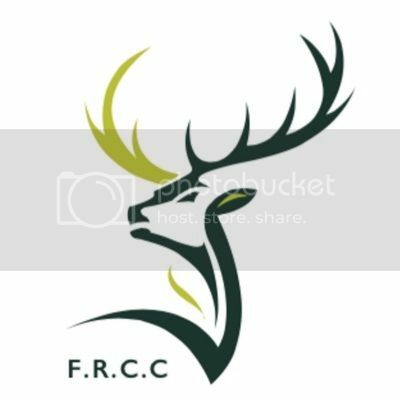 the Oxfordshire Cricket Association ran a player pool this season, it was quite limited, but all the players and clubs who used it thought it was great. the problem was the league never advertised it, so most players did not know it existed. In the shrubbery Somerset league you can only play in higher divisions which doesn't really help teams in the lower divisions which are often the teams struggling for players. I played in the OCA player pool twice last year and really enjoyed it. The clubs I turned out for were so happy to have someone playing for them, as it saved them from conceding the fixture, they went out of there way to give me a game. Thanks for the comments. Our meeting is this weekend so it will be interesting how the votes go. I'm generally in favour of it, as there seems to be an increase in the amount of conceded games in the league last year. We had alot of people missing this year, and i dont know of a single club that hasn't struggled! but to have the option there even if you dont use it is always a bonus! To my knowledge we don't have anything like this in. Middlesex. But reading this thread with interest and jblowe comments show while this might not be perfect it's an excellent initiative to keep clubs fielding players. I think everyone on this forum knows less players are available to play, club cricket is struggling and anything like this is a good idea. My own club lost 6 players last winter, mainly first team, they were relegated as were our third team. Currently trying to attract new players over this winter is proving very difficult. Plenty of players moving about. A lot was done through twitter and Facebook, someone would tell league there available, "league wouldnput itnon social media, clubs needingnplayers would contact. Same other way, when a club was short they'd tell league, league would put it on social media and players would let them know there available. At the end of the season, they even allowed us to go on loan to other leagues. Due to early cancellations for weather. I went out on loan twice. One decent knock and one golden duck. Oh well. One lad from our club went on loan to a clubs seconds, they were that impressed with him, there now paying him to be there paid pro next season! Paid off for that kid. Page created in 0.655 seconds with 39 queries.